The Starter Bee Venom Therapy kit has been a great help. The materials were on point and very informative. 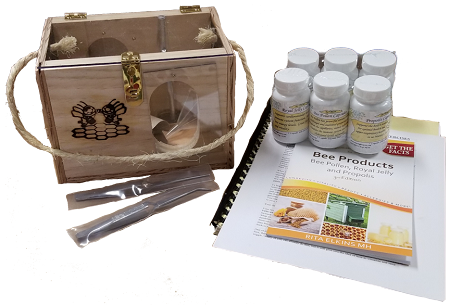 The first group of bee tenants inhabited the condo for up to 3 weeks following the recommended care guidelines. Removing the bees went very smoothly making the BVT a breeze for this beginner. I love the Bee Condo! I do wish it was put together a little cleaner...the lid doesn't close without a gap left where the bees could get out and also at the bottom there is also a small gap in the bottom wood panel and side panel. Otherwise, I think it is a great product and love the double 'window' to easily catch bees.